Dr. Salerno is a board-certified family physician in New York City and a pioneer in the field of complementary medicine. Complementary or Integrative medicine combines the teachings of traditional medicine and the wisdom of alternative healing. BHRT is an important process, but so is selecting the right hormones. We always use our special screening process when filling prescriptions and electing pharmacies. Supplement therapy uses vitamins, minerals, amino acids, fibers, herbs, antioxidants, fatty acids, and enzymes, to maintain, and restore various deficiencies. Dr. Salerno’s medical approach embraces the whole person – mind, body, and spirit – treating the entire person rather than just symptoms. 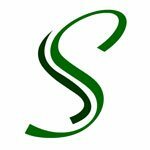 FullScript.com is an online platform that allows our patients to order supplements that we prescribe at the Salerno Center in New York City. 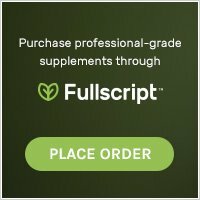 One great feature of FullScript.com is that you can sign up to receive email or text refill reminder notifications based on the dosage instructions for each supplement. 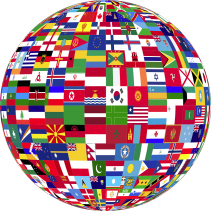 We invite you to create an account online for free. If you need assistance, we will be glad to help you set up your account the next time you visit our office. Some supplements ordered through FullScript.com will be delivered straight from the manufacturer to your door. The next time you come in for your appointment and we don't have something in inventory, we can order and ship it to you right away through FullScript. You will also be able to view notes from the doctor at any time by logging in to FullScript.com if you have any questions about dosage or use. Who are we and who do we treat? Our team is comprised of highly trained medical professionals who genuinely care about our patients & believe in the power of complementary medicine. We treat everyone, including celebrities. If you are suffering from any physical ailments, Dr. Salerno and his team will put customize a plan, just for you. Are you ready to get your life back? Stop battling your body and let Dr. Salerno help you take control. Dolphins with Alzheimer’s and Lou Gehrig’s: Mercury BMAA, and a Human Connection? For international patients interested in learning more about our Exclusive VIP Treatment Package, please contact our personal VIP consultant and our exclusive representative, Mr. J Wong, in Great China.